Push To Transfer Federal Lands To States Has Sportsmen On Edge Wyoming has become a flash point in the debate over whether federal public lands should be turned over to states. Sportsmen are worried they'll lose access to the lands if states are forced to sell. Buzz Hettick scans federal Bureau of Land Management land near his home in Laramie, Wyo., scouting for an upcoming hunt. He worries the proposed transfer of federal lands to the states would jeopardize the public's access to these lands. When it comes to politics, those dollar signs and federal lands are inextricably linked in the West. There's always pressure to lease more land to private producers of oil, gas, coal and, lately, wind. But avid sportsmen like Hettick, who lobbies for the national group Backcountry Hunters and Anglers, now see a new threat. "Anytime there's even a whisper of anybody that wants to transfer federal lands to the states, you're going to raise the ire and the hackles of the outdoor community ... in particular hunters and fisherman," Hettick says. This time it's more than just a whisper. At their party's 2016 convention in Cleveland last summer, Republicans included a provision in the RNC platform calling for the transfer of ownership of federal land to states. One of the biggest questions surrounding this is whether a rural state like Wyoming with a small budget can really afford to manage all this land. 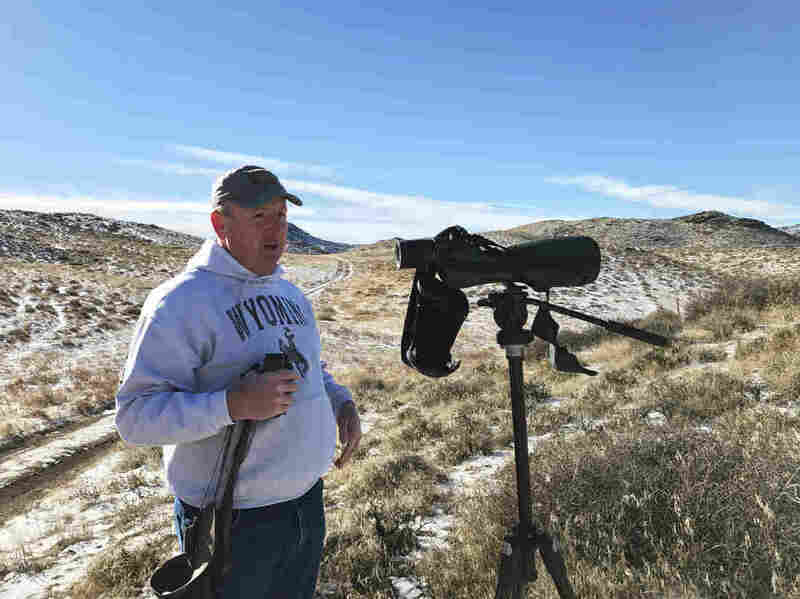 Groups like BHA worry the cash-strapped states would be forced to sell it, which could endanger access to hunters or anyone else who likes to enjoy U.S. public lands. It's not yet clear whether President-elect Donald Trump endorses the idea. But his son, Donald Trump Jr., is an avid hunter and member of Hettick's group. The younger Trump is said to have been influential in his father's pick of Montana Rep. Ryan Zinke, who opposes the transfer, to be interior secretary. Nevertheless, Hettick isn't hedging any bets. He says sportsmen are on offense. "It's the biggest battle that sportsmen are going to have to face in my lifetime," he says. The Laramie range north of Laramie, Wyo., is a mix of private and public lands run by the U.S. Bureau of Land Management. About half of all the land in Wyoming is controlled by the federal government. In Wyoming, that battle is starting in the legislature. 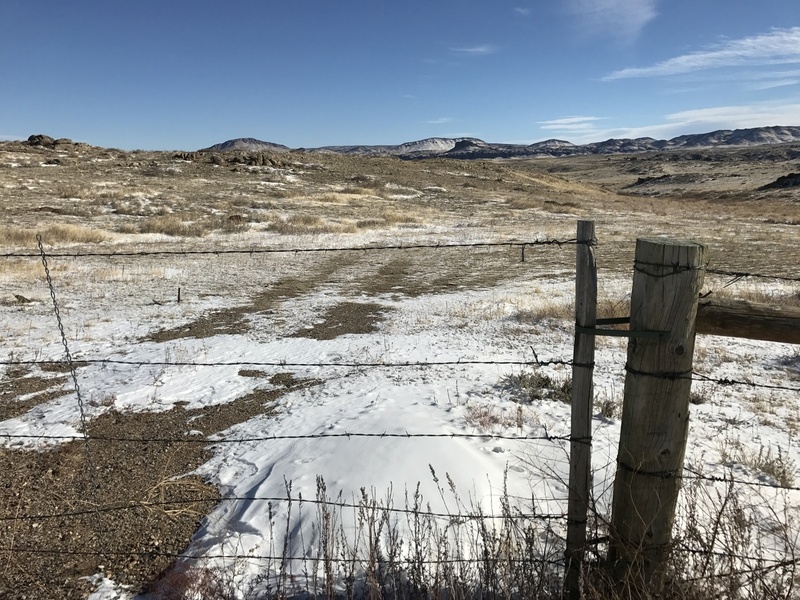 Lawmakers are considering a proposed constitutional amendment that would lay the groundwork for Wyoming to own and manage federal public land by 2019, should the GOP-controlled Congress move ahead with the transfer. Hettick mobilized sportsmen from around the state to brave snowy roads and travel to the capital, Cheyenne, for a recent hearing. Clad in camouflage, they wore "keep public lands public" stickers and lined up to testify against the proposed amendment. Cheers and woops erupted when one hunter at the hearing advised the committee that they didn't support any of the bill's language, "because we don't support the amendment." Neither does Wyoming's Republican Governor Matt Mead. In an interview with the Casper Star-Tribune recently, Mead questioned the legality of transferring federal lands in the first place. He also wondered how his state would pay for things like battling wildfires, a bill that's usually picked up by the federal government. State Sen. Larry Hicks, who's pushing the amendment, says he's done the math. He says an energy-rich state like Wyoming can afford to take over the land because of the increased tax revenues the state will be able to reap from it. "We run about a $3 billion budget and we're sending a billion dollars of federal minerals back to Washington, D.C.," Hicks says. "That's a 25 percent increase in our state revenues right off the bat." His math may not take into account the booms and busts of natural resource prices. But for Hicks, this is about a lot more than economics. It's a cultural battle. He says rural communities that depend on mining, logging and drilling on federal lands are suffering. "A lot of people just feel like they have no more voice," he says. People are moving out and schools are shutting down. Hicks says the federal government is too restrictive. "It's detrimental," he says. "There are multiple generations of families and they feel like that their heritage and their lifestyle has been stolen from them." Republican or Democrat, bashing the federal government is popular political sport in Wyoming. And like any relationship, Wyoming's relationship with Washington, D.C. is complicated. In quite a few small towns here, the federal government is the largest employer. And the state depends heavily on federal dollars for everything from highways to health care to education. A report commissioned by the legislature's own committee considering the constitutional amendment noted that if the transfer goes forward, the state would automatically lose close to $30 million in federal dollars earmarked for infrastructure in counties that have large amounts of non-taxable federal public land. "I see very little evidence that there's a groundswell of support for it in the state of Wyoming," says Greg Cawley, a political science professor at the University of Wyoming. Cawley has studied anti-federal government movements in the West, dating back to the Sagebrush Rebellion in the 1970s. "Every time the federal government does something that irritates Western ranchers, miners, what have you, this issue of transfer of the lands to the states is brought up again, dusted off and put forward," he says. But there's one big thing that makes this time around a little different, according to Cawley: the unpredictable political mood in the country right now. For a lot of Westerners, that hit home a few days before the election when a jury acquitted militia leader Ammon Bundy and his followers who led an armed occupation of a federal wildlife refuge in Oregon. The Bundys said they were protesting federal ownership of public land. "What we used to call, maybe five or six years ago, the fringe right ... they're starting to become more mainstream now," says Buzz Hettick of BHA. "That's why we have to really ramp up the pressure we put on our politicians." Hettick pledges that sportsmen will pressure Washington in even bigger numbers if the federal lands transfer proposal moves forward in Congress. But today, out in the Laramie range, he's focused on a smaller quest. He's hopped out of his pickup and set up his scoping lens on a tripod. "If you look over at the top of this hill right over here ... looks to be at least eight or 10 elk right there," he says, his jaw a little clenched from the cold wind. The trip out here can be notched as a success. There are elk in these hills, maybe he'll bag one just yet this season.